Not seeing your hive data after importing from the marketplace? 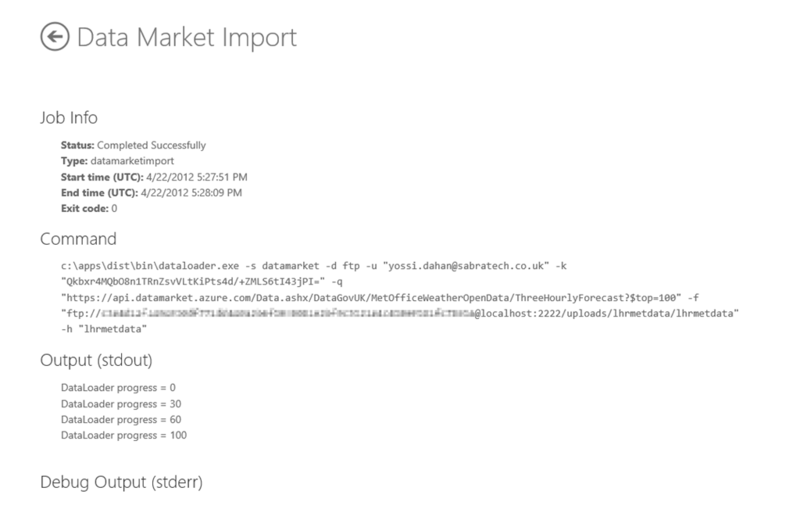 In my previous post I wrote about 4 ways to load data onto Hadoop on Azure. Hadoop on Azure includes the ability to provide it with credentials to the market place, a query to run and the name of a hive table to create and will do the rest – query the data through the marketplace, store it on HDFS and create a hive table on top. After entering all the details and clicking the ‘import data’ button a job will get started, and when completed you will have a hive table with the dataset (you can leave this screen and check back on the job history later, naturally it is all done asynchronously). 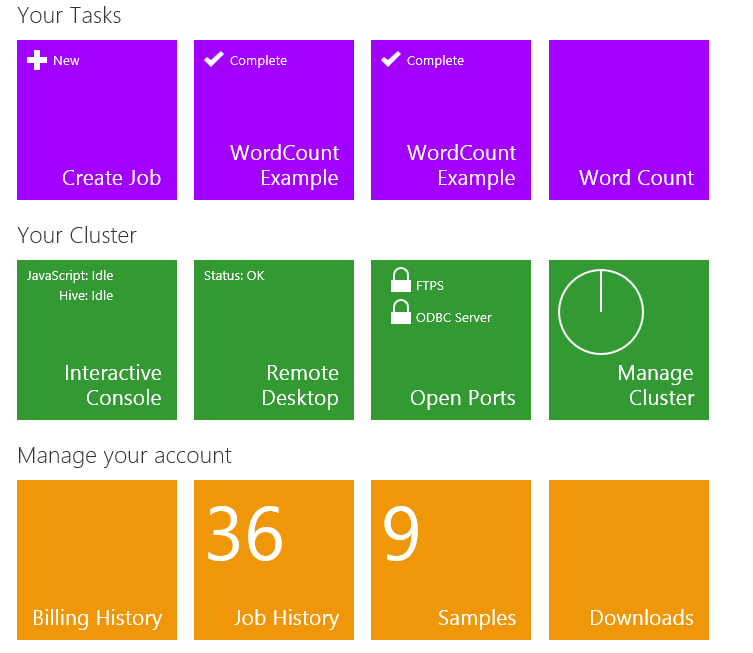 The best way to validate that (after of course making sure the job had completed successfully through the job history screen) is to use the hive interactive console – in the Hadoop on Azure homepage click the ‘Interactive Console’ tile and be sure to click the ‘Hive’ button on the top left. It will take a few seconds for the tables dropdown to get populated, so bare with it, but once it has you should be able to see the table name you’ve entered in the list, and if you do, you should be able to run QL queries on it through the interactive console, I (eventually, see note below) loaded data from the ThreeHourlyForecast table for Heathrow from the met office’s data feed and so I could execute a query such as ‘select * from lhrmetdata’ and see the results displayed in the console. result. 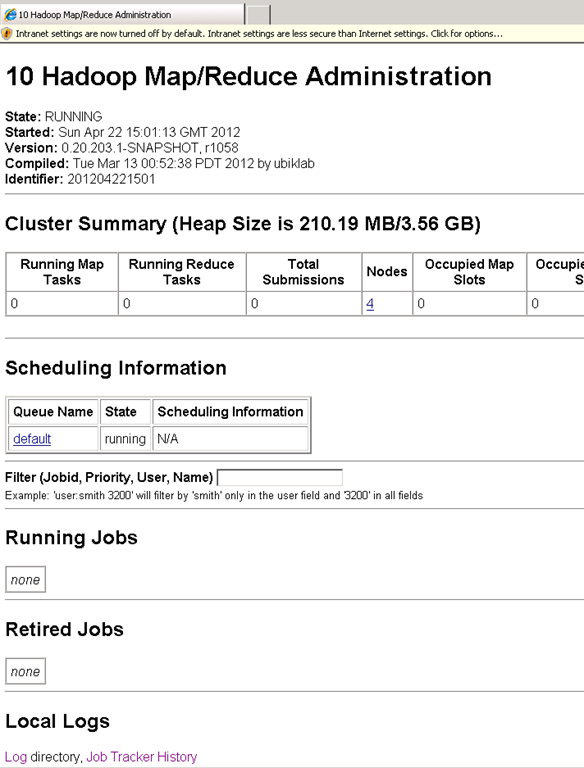 …but the dropdown in the hive interactive console never showed my table, nor did running the ‘show tables’ command. 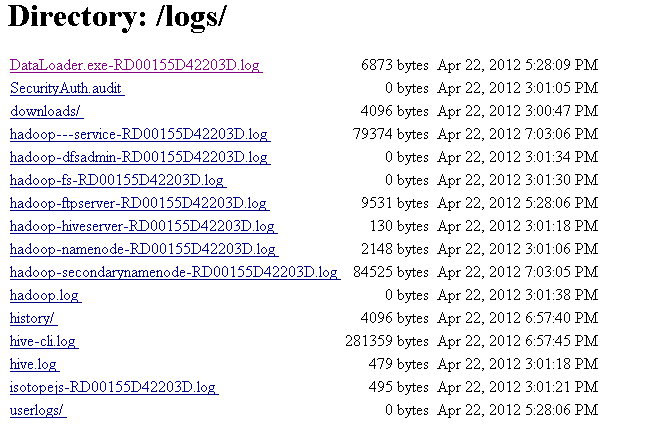 The data feed contained a field named ‘Date’ which is a reserved word and so the parsing of the hive command filed. 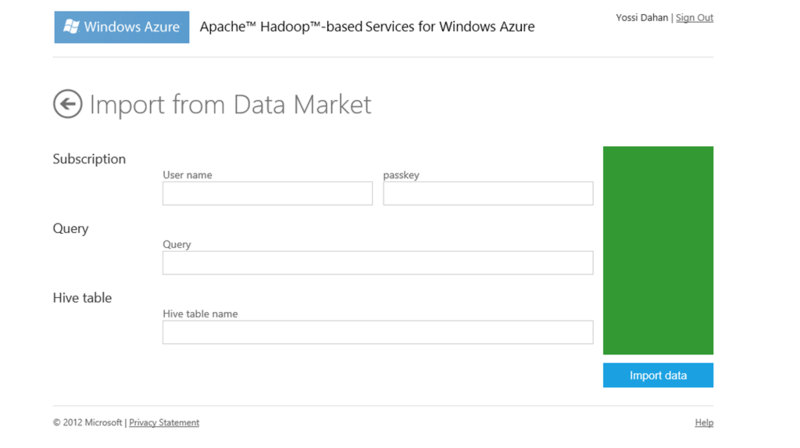 So – valid reason for failing, was just confusing that the job was reported as successful initially, but I’d expect this to be ironed out before Hadoop on Azure gets released and ultimately – a great way to work with marketplace data!